Want to be the next "Mrs Beckham"? Full of pure class and sophistication! 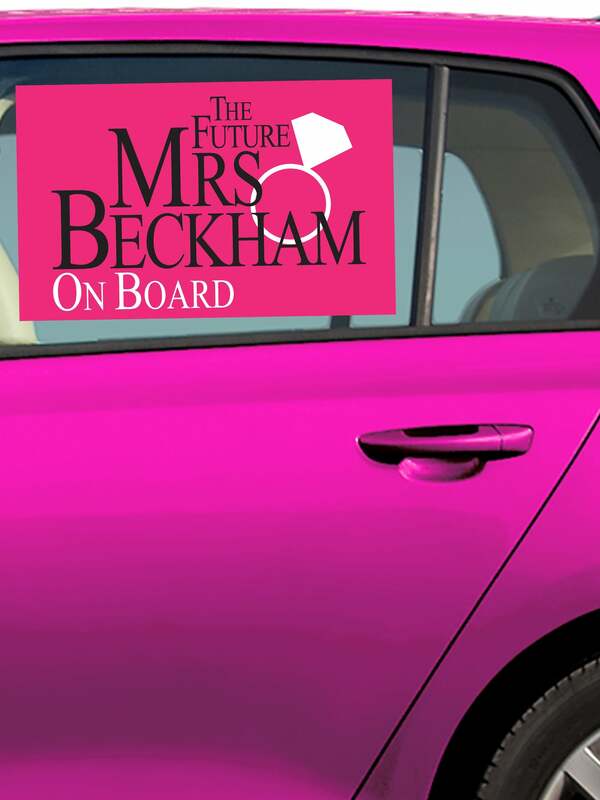 Whilst you're travelling to your hen night add this personalised hen party car sticker to your window. You may want to add the high fashion clothes, the cool shades and then arrive at the bar in pure celebrity style. This design allows you to create a personalised hen party with the bride to be's name. You get to choose who the future Mrs is going to be! If you have a real celebrity princess on your hands she will love the chance to have her name printed on the side of the limo.